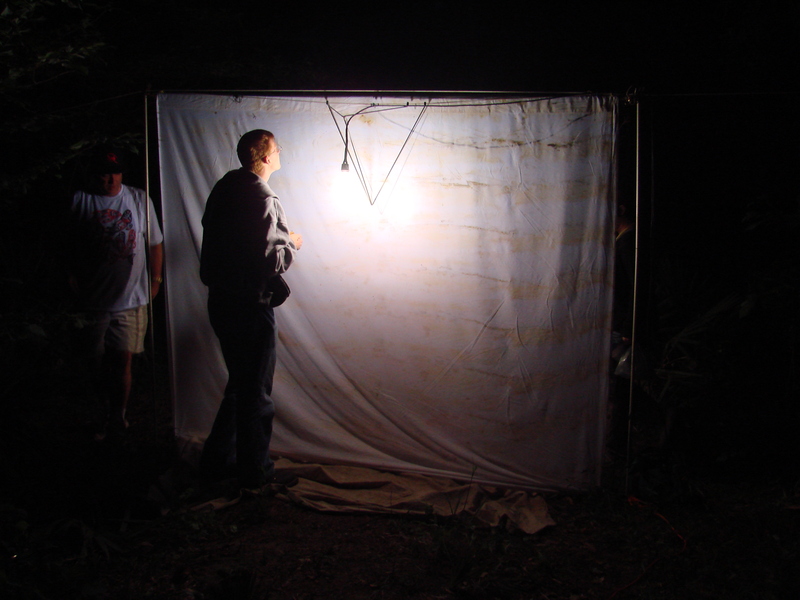 Attracting insects to mercury vapor light on a white sheet at night. Light sheeting is a slightly more equipment oriented collecting technique. This is one of the best ways to collect crepuscular and nocturnal insects. A large variety of insects are attracted to lights, including moths, dobsonflies and fishflies, mayflies, antlions and other neuropterans, as well as many beetles, hemipterans, termite and hymenoptera alates, and other disperses. In simple form, this technique involves shining a light on a white (and thus reflective) surface. A simple bedsheet can be used for this, suspended from a rope and clothespins, or other structure. A white dropsheet is placed beneath, to catch insects such as mayflies which cannot cling well, and merely hit the sheet and drop. The more costly portion of this technique is the light source. A very bright light source is necessary for optimal attraction of insects. This will usually necessitate either a nearby outlet at the collection location or a portable generator. Mercury vapor lamps are preferred for this, due to their intense light, as well as relatively long lifespan and efficient power usage. Convenient easily hung lamps are available from several outlets, but these can be very expensive. BioQuip is a popular supplier of most entomological equipment. Black lights are another popular insect attractant. 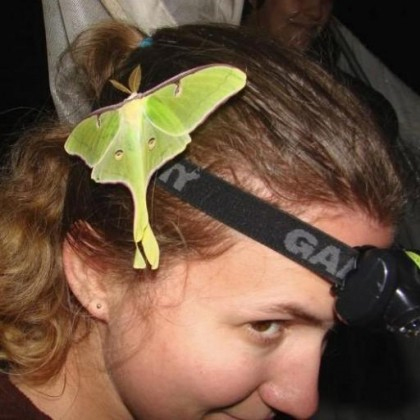 As anyone with a porch light knows, there are other ways of attracting insects to lights at night. Natural conditions may also lend themselves to a makeshift form of ‘light sheet’ collecting. For instance, in the Texas A&M area, illumination lights on the large white walls of the George Bush Library provide an excellent pseudo-light sheet for night collecting. 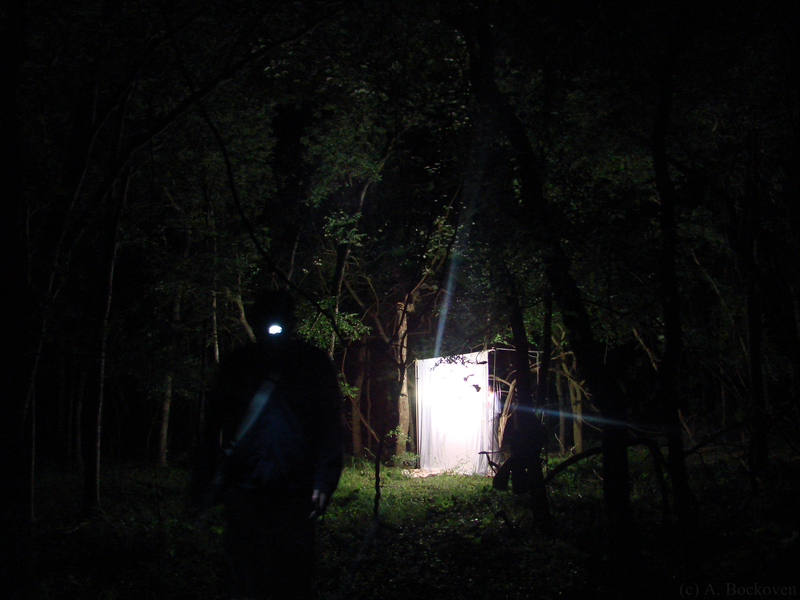 Light sheet in the woods at night.